Silver Health CARE is a multispecialty group practice with board-certified physicians, nurse practitioners, and physician assistants in internal medicine, family medicine, pediatrics, and podiatry. We also have physicians on staff who specialize in behavioral health. We provide many tests and services on site for your convenience, to save time and avoid delays in your diagnosis or treatment. We have four convenient locations in southwest New Mexico. For anyone of our Silver City locations call (575) 538-2981 or toll-free call (866) 538-2981. Se habla español. Learn more about our practice or find a provider at Silver Health CARE today. Silver Health CARE is available when you need us, with extended walk-in hours 7 days a week in Silver City and 6 days a week in Deming at our Urgent CARE Clinics. Come to our Urgent CARE Clinics instead of the emergency room for acute illnesses or minor injuries. You will see a provider in minutes, not hours, and save time with diagnostic services available right here in our facility. 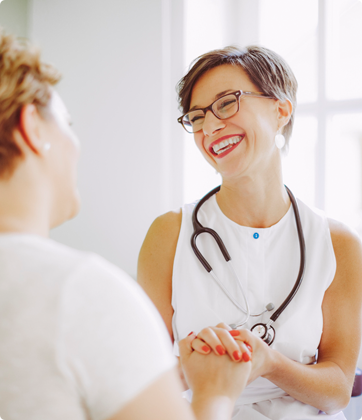 The highly qualified primary care providers at Silver Health CARE take the time to get to know you and your health history. They know which specialists you’ve seen and which medications you’ve been prescribed. They will help manage your health through acute illnesses or chronic disease. Our providers are known for accurate diagnoses and prompt, effective care. Silver Health CARE offers behavioral health services to adults. Our psychiatrists screen for, diagnose, and treat a number of mental and behavioral health conditions, such as Alzheimer’s disease, anxiety, depression, OCD, PTSD, bipolar disorder, eating disorders, sleep disorders, substance abuse and addiction, and more. The compassionate, experienced pediatricians and family medicine providers at Silver Health CARE have years of experience diagnosing and treating health concerns from birth to adolescence, and they are dedicated to helping families understand the many changes that come with growing up. If your child is sick or needs a school physical, we are here for you. Silver Health CARE provides expert podiatry services to our patients in southwest New Mexico. Dr. Adam Gough is a highly trained podiatrist who diagnoses and treats all kinds of foot and ankle conditions. He is also qualified in foot and ankle surgery and has years of experience performing numerous surgical procedures.